A Complete Appalachian Trail Guidebook. 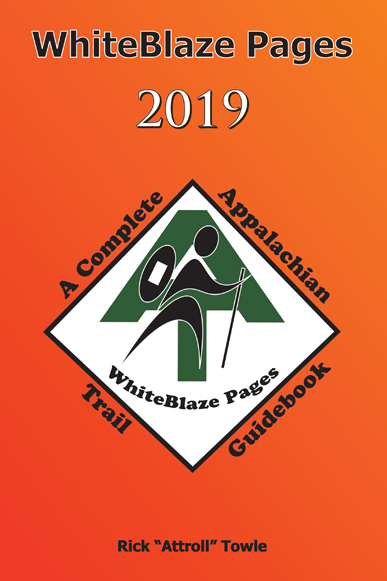 WhiteBlaze Pages is designed for thru hikers, long distance hikers, and section hikers on the Appalachian Trail. Its aim is to assist you in determining your location and surrounding features, and to locate nearby re-supply options and other needed services. With help from the Appalachian Trail Conservancy (ATC), I have made every effort to make this as up to date as possible; however the trail and its surroundings are constantly changing. If you find any inaccurate or wrong information in this book, I would greatly appreciate it if you would write through the web site or the email listed in this book. This book was done by hands-on research and data collection. The establishments in this book do not pay to be listed. I receive no funding to produce this book. I currently do not pay anyone for furnishing information. This book has more reference points than any other single Appalachian Trail guidebook. Post Office addresses listed under towns along with their GPS coordinates. I believe I have designed this book to be more organized to better help the hiker. I added hundreds of more mileage locations/references points, more than any other single Appalachian Trail guidebook. I also added more quick reference icons. I felt that adding more quick reference icons was a better way to go. This helps the hikers to look quickly at the icons rather then having to read the whole description write-up. Listed mileage from South to North in the far left column. Included 58 icons for quick reference. I have put these icons to the left of the decription for easy identification. Some of the new icons include trail intersections/junctions, bridges, power lines, bear cables/box, summits, water falls, attractions, road crossings, railroad crossings, AT passport locations, no pets, WifI, work for stay. More mileage points. More than any other Appalachian Trail guidebook. Establishments and their services are listed in the book in order of trail crossings. 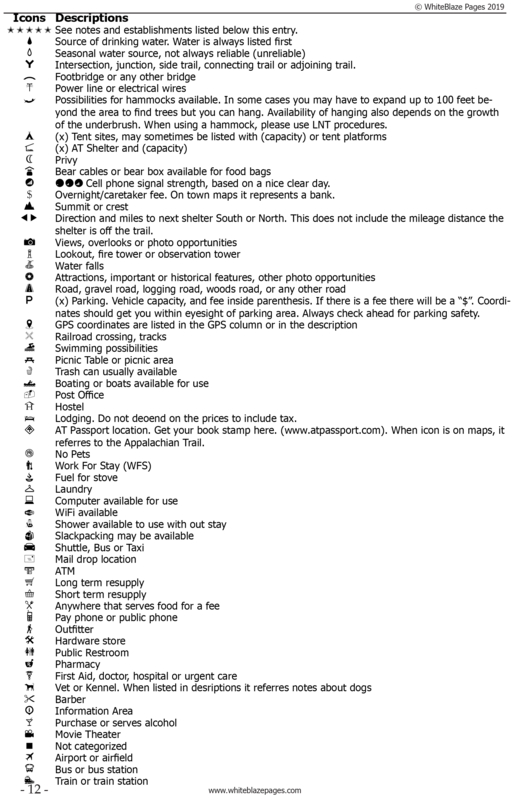 Includes GPS coordinates for shelters, parking, Post Offices, and attractions along the Appalachian Trail. Over 400 parking locations and GPS coordinates that will bring you to the parking area entrance whenever possible but should always get you within eyesight of the parking area. Listed mileage from North to South in the far right column. 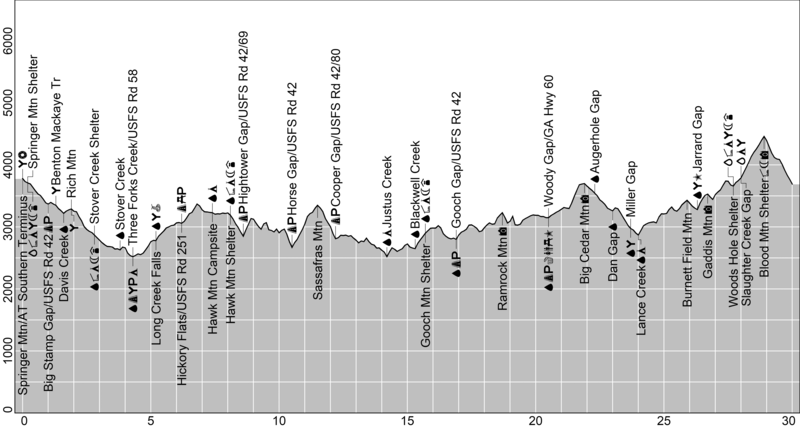 Elevation profiles are in 30 mile increments. 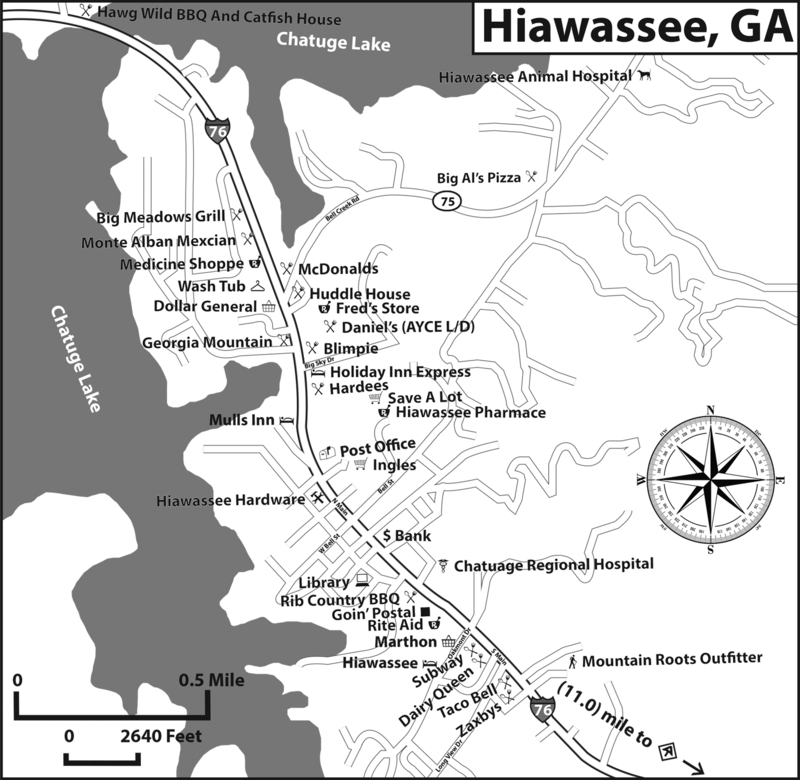 Maps of trail towns with locations of establishments. Maps are to scale and in a north is up orientation.